Constructed around 1835 a schoolhouse for the children of local millworkers, acquired by the United Free Church in 1929, this little building is a rare survival of mudwall construction. 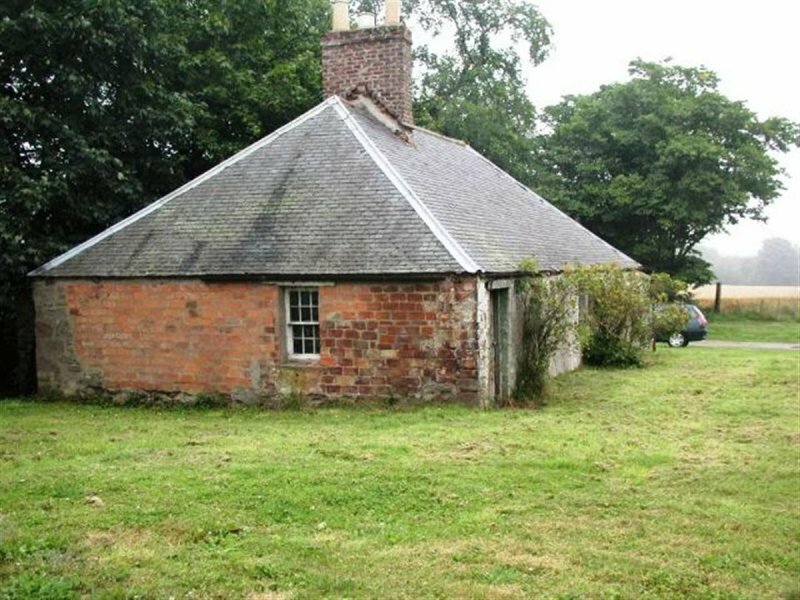 Once a common building material in a number of areas in Scotland - more frequently found in areas of the North East of Scotland - mudwall or clay construction buildings do not often survive in such a largely intact state. The clay-rich soils of Logie were well suited to this method of building construction. Mixed with aggregate and straw it was piled to form thick walls. Once dry, it would be trimmed to form a neat surface and coated with lime plaster or harl for additional protection. The schoolhouse was comprised of a main hall with two smaller rooms to the southern end. A timber-framed corrugated iron porch was a later addition to the northern end, thought to have been added when the building changed use from school to church. The mudwalls had been clad externally with stone and brick at various times in its history and cement harling was added to all but the southern wall in the mid 20th century. Internally walls were originally plaster on the mudwall, though the schoolroom was later lined with lath and plaster and timber panelling. Brought to the attention of the NTS by a neighbour, the building was planned for demolition and replacement with a new house. 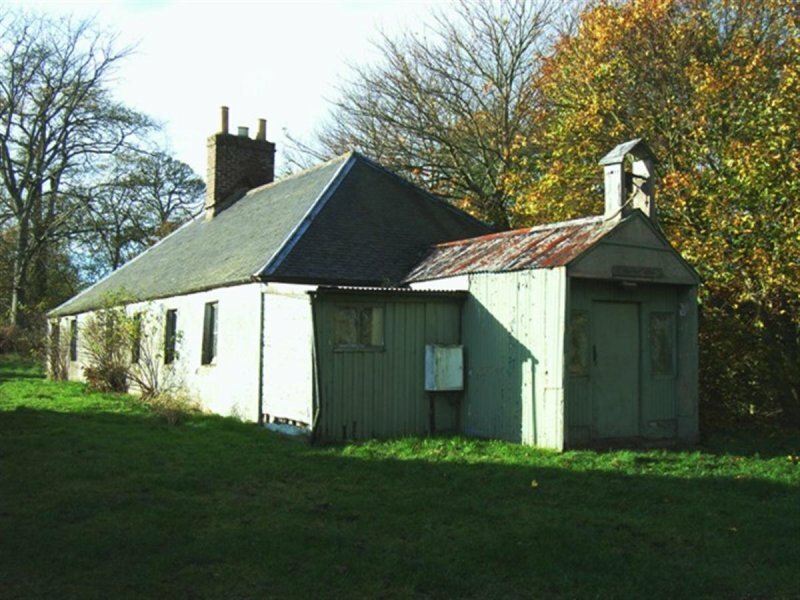 Having identified the significance of the building, Angus Council, Historic Scotland and the NTS worked together to identify a propose a scheme for retention and restoration. The building was listed as Category A by Historic Scotland in recognition of its signifcance and added to the Buildings at Risk Register in 2006. The cement harl, compounded by lack of maintenance and disuse since 1990, had caused the saturation of the mudwall at the northern end. During negociations with the owner this wall later collapsed. Having secured ownership of the building in October 1995, the NTS began emergency work to stabilise the building whilst research into its history and methods of construction was underway. The restoration project proposed by the NTS sought to secure the long-term future for this intriguing survival. It was designed to showcase new build construction designed to work in collaboration with the environmental principles embodied in the vernacular construction and sought to raise awareness of earth construction as a technique of well established local tradition, but also possible future use. With minimal intervention the former schoolhouse has been adaptable to a one bedroom home. The former schoolroom is now a living/ dining/ kitchen room. The two schoolmasters rooms to the rear provide bedroom and bathroom. The front porch providing entrance hall, utility and cloak room. Internally the walls are limewashed in colours matched to the original. Externally the building is finished in a warm yellow/ orange limewash to match the original, with one elevation of exposed stone and mudwall. The corrugated iron porch is re-finished to match the original soft green. The cast-iron bell was restored and re-hung over the entrance. During the restoration project a series of educational workshops and masterclasses on mudwall construction were held. 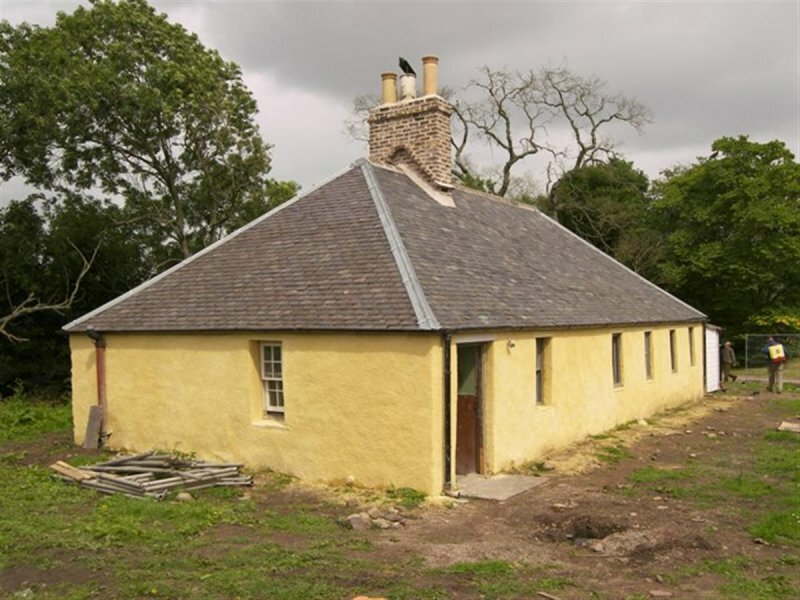 On completion, to meet the requirements of the Communities Scotland Rural Empty Property Grant, the schoolhouse was let to provide affordable housing for a period of at least 6 years, after which the property will be sold and all proceeds will be reinvested in the Little Houses Improvement Scheme. Arc Chartered Architects with Thomson & Douglas Limited general contractors and Little and Davie Construction providing expertise in earth repairs. 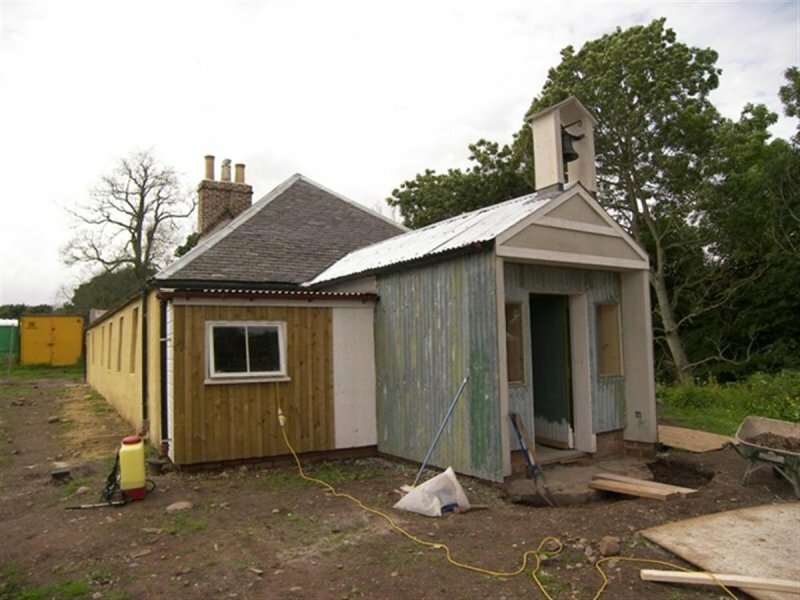 Angus Council, Historic Scotland, Scottish Government through the Rural Empty Properties Grant Scheme, Heritage Lottery Fund Awards for All.